Guys can you believe the holiday season is upon us? Way too fast I know! But nonetheless I’m super excited for the warm & tingly feelings that completely take over this time of year. 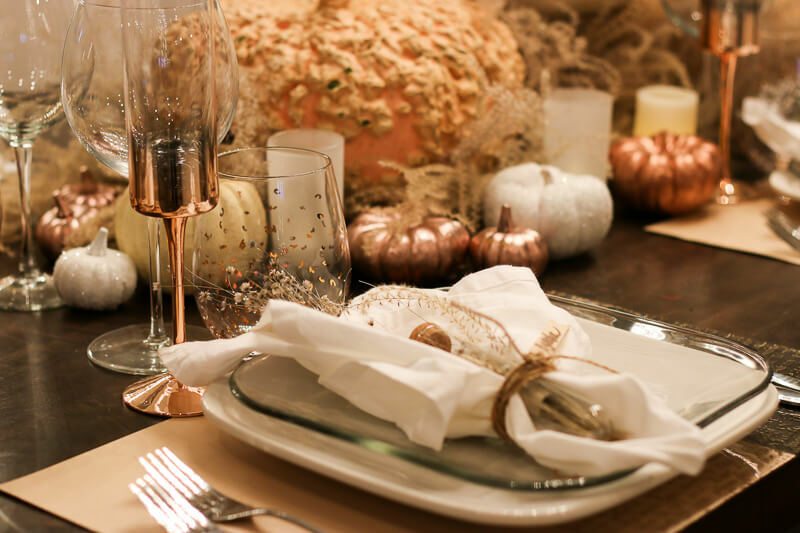 If you are anything like me, coming up with dreamy table concepts is just as thrilling as prepping the feast! This year I decided on a completely plush table concept. 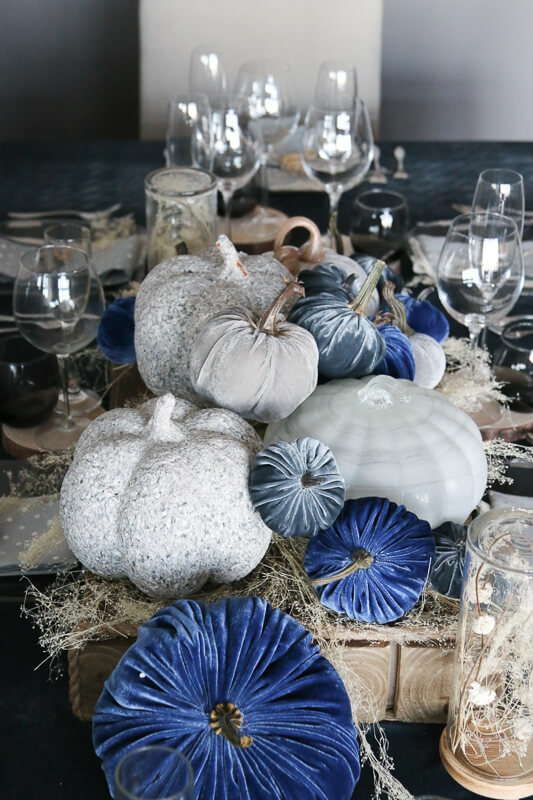 With velvet being so huge for fall/winter I decided to not just incorporate it in my table concept, but also make it the star. What better way to do this than to have a velvet tablecloth (although not the most practical) it will no doubt be a showstopper! I thought the mix of natural materials such as wood,stone glass and dried flowers would act as a beautiful compliment to the velvet. I love a non traditional thanksgiving color palette. 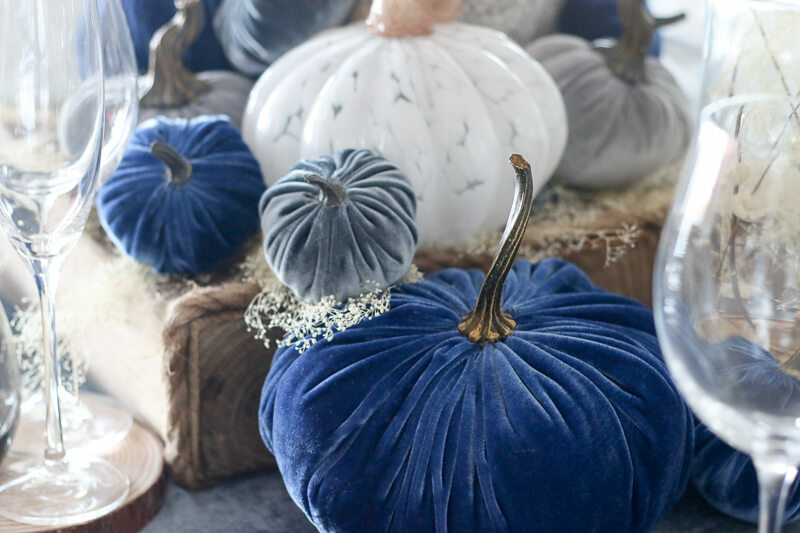 I wanted a very calming yet chic color story, so I naturally gravitated toward moody blues, grays,creams,charcoal and white for a crisp clean pop. 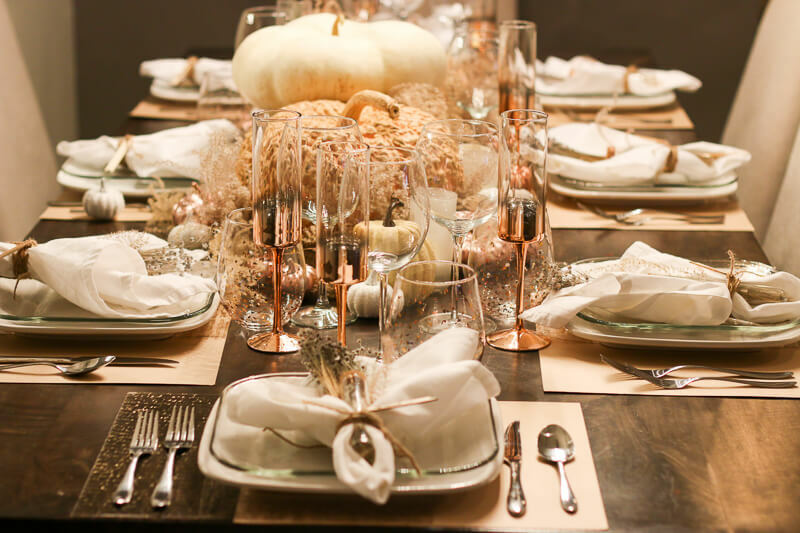 This Thanksgiving’s theme is rose gold/message in a bottle. My favorite part of Thanksgiving besides being with family; is the décor. Every year I look forward to what creative way I can visually entertain my guests.